With countless options to offer with your nail service, be sure that these Artisan Perfect C Natural Nail Tips are one of them! 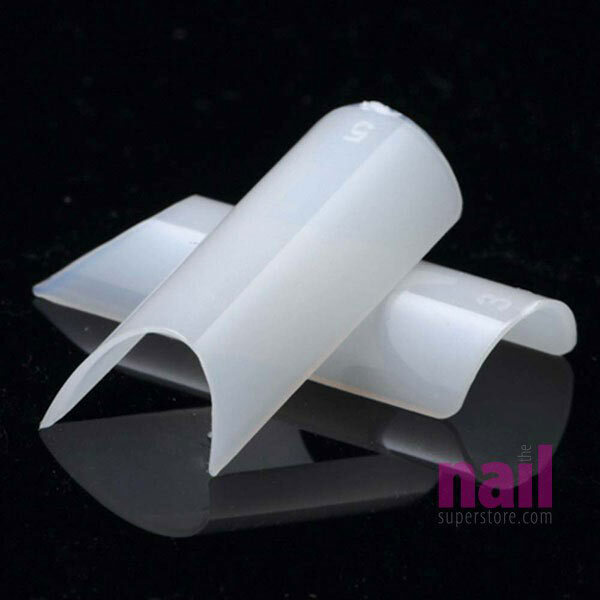 They're made from durable and flexible ABS plastic and are perfect to use for nail art or artificial nail enhancements! Can be used to create full sets with gels, acrylics and wraps! Sleek design also provides a perfect C smile. Ideal for cutting down your time from buffing and shaping. Comes in assorted sizes from #1 to #10 with a reusable tip box. Product Comment: love the built in C- curve I don't have to use my pinching tool on these, quick and easy to put on. Product Comment: When I first opened these tips, I thought there is no way they will fit my wide nail bed. I pushed them aside to possibly return them. A few minutes later I decided to at least take one out and see which nails they might fit. Wow! Love them. The way they are made on the part you glue to nail was perfect and my nails did not look so wide. Love Love Love these nail tips! Product Comment: If you don't order these you are crazy! order now thank me later. Perfect tip.. flawless nails every time makes your job so much easier..considerably less filing time. Product Comment: Love these tips! The only downside is that they don't make them in extra wide for people like me. Product Comment: I found these tips sized accurately, and the C-cut shape lies perfectly on the nail. Plan to order more. Product Comment: I was looking for a non-tapered tip, and while this one fits that requirement, I find them flimsy. The corners of the smile line are almost impossible to fit nicely. Having said that, I think this type of tip would work better with a small well or a full well. Product Suggestions: Make them a little more sturdy at the corners of the smile line.